Hi guys this is Nitecat your regular Moderator of the TOS Forum [EN] this thread is basically a place for members to report on hacking activities. On a personal note when it comes to how i feel about hackers, i have noting but utter disgust and disgrace from these group of people. I mean when everyone is spending a whole load of time, effort and money for this game and they think they can just come in and thrash every effort of the players here? C'mon seriously this is bull. I have no qualms with bug exploiters (it's not the fault of the player anyway) but i seriously despise hackers from the bottom of my heart, please keep it fair people, if u have to hack a game please go hack ur console games and not an online game is what i am trying to say. P.s. Guild leaders u had better becareful of your members, if Madhead finds a member of a guild to be hacking, it is possible that Madhead will take drastic actions on the guild itself too there already has one CN guild that got pulled to level 1 because of that already!! Please protect yourself by removing that member and report it so other guild leaders can be warned of this potentially dangerous "virus"
The template for a "hacker report"
If you really wanted to hack, then just use an alt account and then perform the lulz. I mean, it may be wrong but I have hacked other RPGs like Maplestory, Adventure Quest, to name a few and I only use it for shits and giggles or to gain advantage at where I couldn't have. I mean, if I were to hack on my main, then at most I'd probably just recover the diamonds I lost foolishly or by accident, not like I'm gonna pass Saruman in 5 turns. Nice. I don't check my board at all but now I will. Thanks for the heads up. 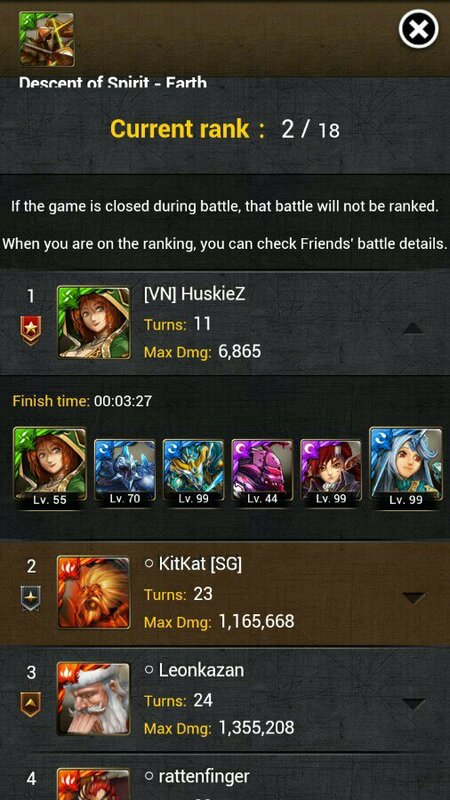 (01-07-2014, 12:58 PM)Ghakimx Wrote: Could be a legit score but I don't think it's still possible either to finish in 8 turns and 2.30, unless you can finger a girl to death in just 5 seconds. Don't mind. Fixed it and stuff. You should unquote me though.